Left:is it a flamingo trying to pass as a pumpkin or a pumpkin trying to pass as a flamingo? Since it is the second year running we have gone to Juckerfarm for their pumpkin festival (read about last year's trip here), it has officially become a tradition in the Made in Suisse's household. Unlike last year, we weren't so luck with the weather and it rained the entire time...but we did not let it defeat us and still spent a few hours enjoying all things "pumpkin". 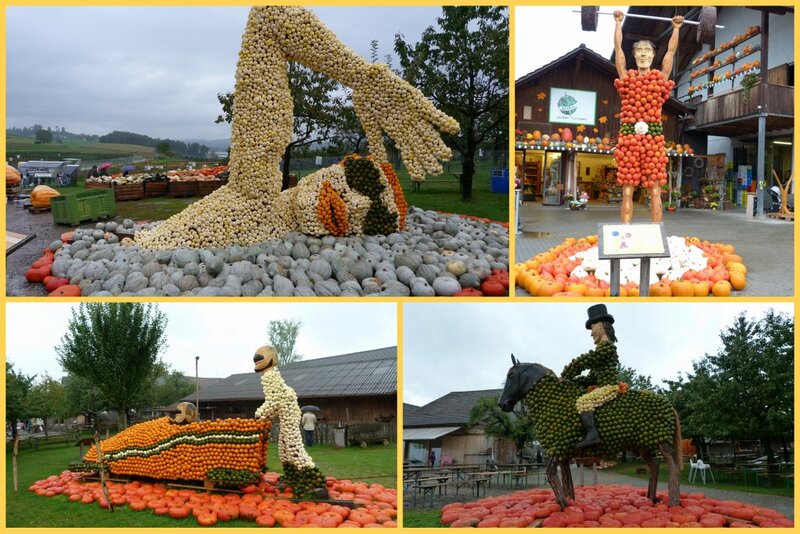 Perhaps not surprisingly, the theme this year was Olympia, and just like last year, we were amazed at he number of pumpkin and amount of work that has gone into every single one of those sculptures. We all agreed that the swimmer was our favourite! Once again, we indulged in some delicious pumpkin-based food: pumpkin sausage, pumpkin chocolate brownie and, for the first time, sipped some beautiful pumpkin prosecco. It sounds rather gross, but believe it is exquisite! This year, several mazes had been created using apple trees and this fantastic Snow White pumpkin was sitting in the middle of the largest maze. Isn't the witch awesome? 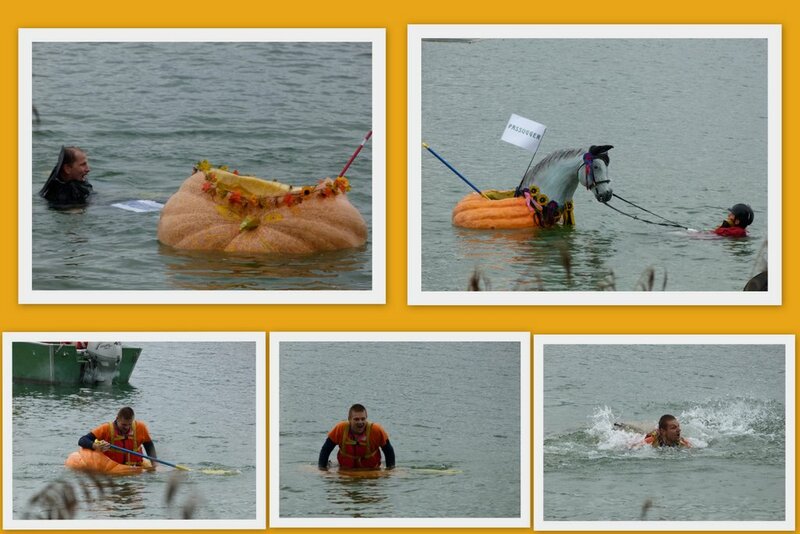 The highlight of our trip this year though had to be the Pumpkin regatta. It goes like this: crazy people grow huge pumpkins, crazy people carve huge pumpkin into a one-person "boat", crazy people decorate their floating pumpkin, crazy people form a team and elect one of them to race in the annual regatta on Pfäffikersee. 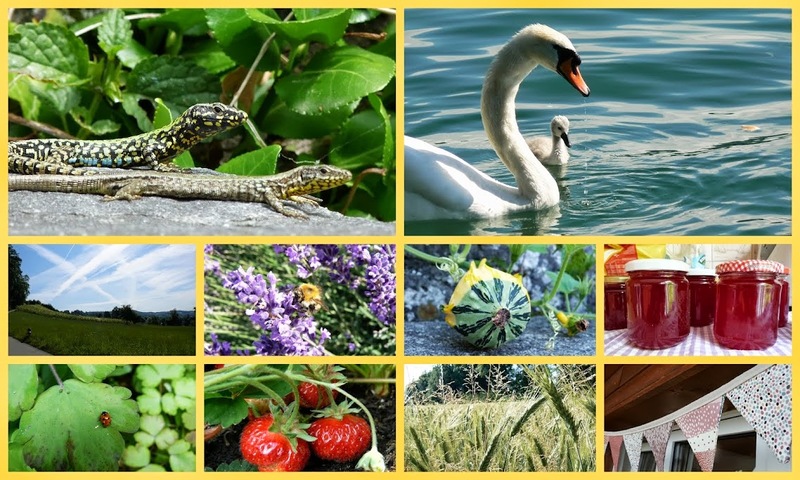 Sadly, I had to work that day and missed the Kurbisfest at the farm. Judging by your photos, I that I would have really dug it. I am inspired to go next year. I hope that there will be pumpkin ice-cream waiting for me. I see what you mean by mad about pumpkins. I have never seen so many, and such large ones! Amazing.